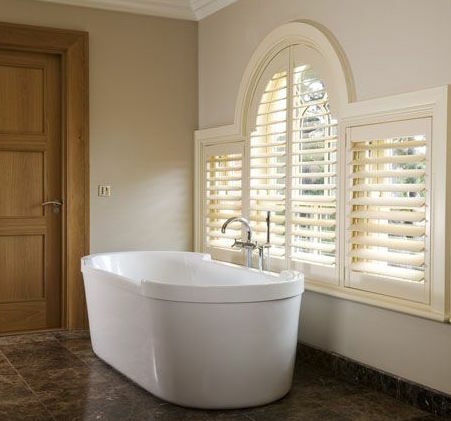 Plantation Shutters Canterbury from your local interior shutter experts. Just Shutters offer you the widest choice of shutters in the UK, unrivalled service and a lifetime guarantee. Covering Canterbury and the surrounding areas, call us on 01892 575 858. Our local Canterbury shutter expert, David Stansbury (pictured below) has lived in the area from the age of seven. 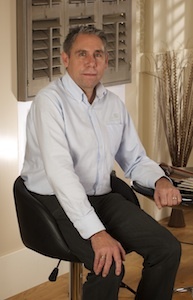 As MD of Just Shutters Kent, David combines the personal care and customer service that comes with being local, with the highest quality, products, and value of the Just Shutters brand. He has a passion for craftsmanship and an eye for detail he has been transforming Kent interiors since 2013. He truly understands the local area and has worked on properties from across the ages, including many listed buildings. With its historic homes, unique charm and wealth of architecture from across the ages, Canterbury is a beautiful city in which to live and work. Whatever your home’s age and style it is your castle and we are the skilled experts you can trust with it. Furthermore, we have the range of stunning shutters (including exclusive ranges) to match any architectural and personal tastes. – We are focussed specialists, shutters are ALL we do! DO SHUTTERS PROVIDE GOOD VALUE FOR MONEY? Shutters have often been seen as a luxury product, they can appear to be expensive. Mainly due to being seen in boutique hotels and high-end design magazines. However, shutters provide excellent long-term value. More and more homeowners are finding that not only are shutters very reasonably priced for their quality, but their value is long-lasting. They have many additional or value added benefits, they are energy efficient and add value to your home. Shutters can be very similar in price to made-to-measure curtains or blinds; additionally, after years of wear and tear nothing stands the test of time like beautiful plantation shutters. Long after fabrics have faded or blinds bleached or gone out of fashion, classic plantation shutters still look amazing! And with our lifetime guarantee you will still have real peace of mind. Contact us today on 01892 575 858. Alternatively, follow the buttons below for an inspiring brochure or an expert home design visit. Cafe style to 1 window + shutters to French doors. Supply and fit wooden shutters and large front windows. Supply and fit of shutters to window.